If you haven’t got anything you can’t do anything. Only take what you’re happy using and be careful taking medications with you that you’ve never tried before. Dangerous reactions to antibiotics aren’t that uncommon. An injury on a surf trip in Europe is a different kind of gravy to an injury in the depths of Indo. Kit lists to each destination will be listed separately. The articles on this site will hopefully (first) aid you in managing the commonly encountered injuries and illnesses. This article is about what basic medical kit we think its wise to take with you. Read our article on ‘wound management’ & ‘reef cuts’. E111 if you’re British. This makes getting health care a lot quicker and easier. Its basically a blank cheque from the NHS. Spray on plaster (waterproof and breathable) with disinfectant. This is a really basic list. If you think you may need more items, you should probably be going to your nearest hospital for treatment and supplies. Chances are its not far. This will make sure you get the best wound cleaning, dressings and drugs. Remember that if you’re worried about the injury, or you feel out of your depth managing it, you should make your way to a hospital. Here’s what we recommend you take. 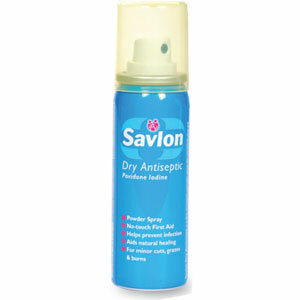 Insect repellant / DEET spray (This isn’t great for the environment so I only use in high risk areas). Always make sure you have access to clean drinking water. A couple of small plastic syringes to help clean wounds. A sling. T-shirts can actually be turned into handy slings..
Anti-biotics. Read the antibiotics article. Be cautious taking new drugs for the first time. Contact numbers. This should include embassy’s, medi-evac, next of kin and local emergency services. American dollars or Travelers cheques. I stash a credit card in my medical kit. Please don’t rob me now! If you’re really remote you should have a list of the places you can bolt too in an emergency and a vague idea of how you’re going to get there.